Nestled in the heart of Indiana is the town of Valparaiso. Though we are a reasonably sized town, the weather here is larger than life. Winter brings us snowstorms and summer brings us heatwaves. These weather swings mean one thing: you need to have your air conditioning and furnace needs met by a professional and affordable AC technician team. 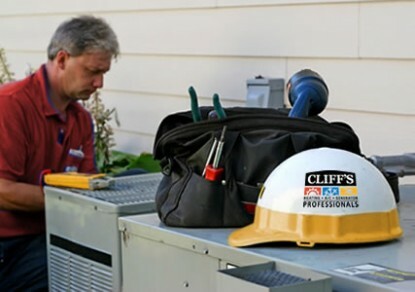 At Cliff’s Heating & Air, we have spent nearly 40 years working to make our name synonymous with effective and affordable cooling solutions. Here are just a few reasons why we should be your one-stop-shop for all air conditioning repair services. No matter how nice your air conditioner is, whether it’s a new York Affinity or something a little bit older, you are going to end up needing repairs done at some point. As a full-service AC repair team, we are able to send out certified AC technicians to inspect and deliver the air conditioner repair services that you need. When it comes down to it, sometimes a repair just won’t do the trick. When you find yourself in need of a AC replacement, you know who to call. Our family-owned shop provides free in-home estimates on all new installations. We offer detailed consultations to both residential and commercial properties. We offer a full line of high-quality air conditioners and our consultants can help lead you to the right product for the job. Think of your air conditioner as an extension of your home, one that needs to be cleaned and maintained like any other aspect. Practicing proper air conditioning maintenance by ordering seasonal tune-ups can make a huge difference for the lifespan of your cooling system. Here are a few benefits of turning to us for your maintenance and tune-up needs. 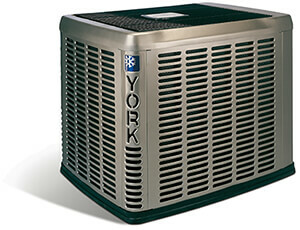 Despite how advanced air conditioners are, they still aren’t perfect systems. Whether you need a routine tune-up or an elaborate replacement or installation, we can be of help. We offer affordable financing on approved credit and we go the extra mile to make sure your experience is a good one. "The first call we made to Cliffs was about our AC unit. From there they earned our trust by showing up on time, doing the work right and charging us a fair price for their services."